There are now many hundreds of salt cave locations around the world, take a look at some of them by clicking the links below. Although the idea for salt therapy originated in Eastern Europe, specifically countries such as Russia and Poland, modern salt therapy caves can now be found in many different locations globally. Salt therapy is particularly popular in the USA where the number of salt caves has grown rapidly in recent years and is now estimated at around 150. The design of our own salt cave in fact took inspiration from some of these American rooms where the use of Himalayan salt bricks to build up the walls is a popular method. Take a look through the listings below to find the locations of salt caves near you. If there are any salt caves below that you think we have missed, please do get in touch and let us know to allow us to keep the list of locations as updated as possible. Salt Space in Hove has two salt therapy rooms, one for adults and one for children. Salt Space is a member of the Salt Therapy Assocation. Salt Space has previously held a Salt Yoga workshop and has now started monthly “Salty Breathing & Meditation Workshops”. The Salt Cave has two salt therapy centres in London and Tunbridge Wells. They offer therapy sessions to both adults and children with standard sessions priced at £35. Various discounts are available for booking multiple sessions. Featured in The Daily Mail, Salty Yoga can be booked at this location for as little as £9. Set up by Russian-born Svetlana Pavlova. Salty yoga is also popular elsewhere in Europe and in New York. Oxfordshire based salt cave. Prices for children’s sessions start from £10 and adults from £20. They offer Spa Day sessions, beauty treatments including pedicures and manicures, as well as spa treatments such as aromatherapy massages, salt scrubs and back rituals. There is a dedicated salt room for children, where they can read a selection of books and also watch TV. Reflexology, hot stone massage and reiki are amongst the other services offered here. The centre is closed on Sundays. The cost is 35 euros for a single adult session, with discounts available for buying multiple sessions at once. There is a shop which sells himalayan salt lamps, sea salt and salt scrubs. Bookings can be made online. The centre is closed on Sundays. An introductory salt therapy session can be purchased for 5 euros. Discounts are available for booking 5 or 10 sessions, with an annual deal also offered. Children are welcome at The Salt Clinic for whom there is a special therapy room. 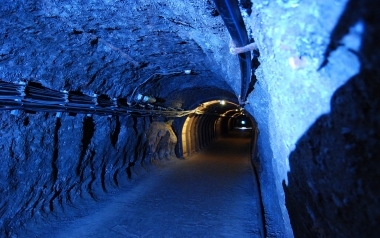 Take a trip into a genuine underground salt mine, accompanied by a knowledgeable tour guide. Tours last approximately one hour and there are also audio guides available in 16 different languages. Himalayan salt lamps and wellness products are for sale in the shop. Prices start from 17 euros for adults. 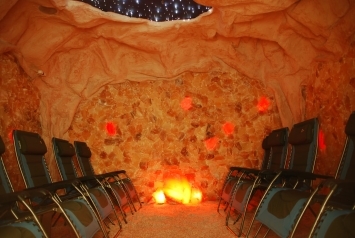 This salt cave operates at two locations and provides a range of massage services in addition to salt therapy. Both adults and children are welcome, with adult prices only 13.50 euros. The centres are open every day of the week and there is an online appointment calendar for members. This location offers dedicated children’s sessions and massage therapies are also vailable. They are open every day apart from Thursdays. Gift vouchers can be purchased from their shop, which also has different types of himalayan salt lamps for sale, salt foot baths, crystal and herbal salts. Crystal Salt Grotto was created by Peter Schreiner and Annette Kanis in 2010. Annette was formerly a medical journalist. Salt therapy sessions are 45 minutes long and there are also yoga and meditation options on offer, as well as singing bowl concerts. The centre is closed on Mondays. As well as salt therapy, they also offer services ranging from infrared saunas to rehydration, massage and reflexology. Salt Of The Earth have been running since 2014 and they are open every day except for Mondays. Body N Balance offer a range of services including massage, reflexology and reiki. They can also provide ZYTO scans which use special software to help determine what sort of foods a person should be consuming based on their biological profile. They are a member of the American Massage Therapy Association. 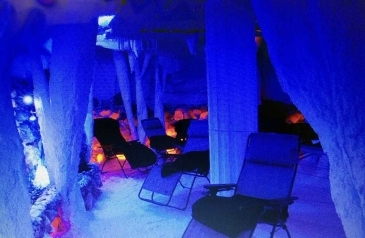 As well as traditional administration of halotherapy, this salt cave also provides therapeutic massage, meditation and yoga as part of their offering. First time visitors are entitled to a hefty discount when booking their first three sessions together. The salt cave is closed on Mondays. 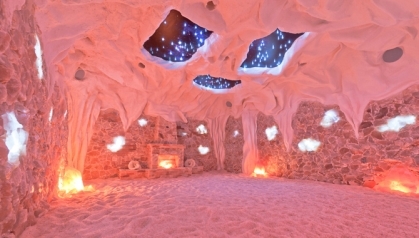 Beautiful-looking salt cave offering halotherapy treatments, with sessions lasting for 45 minutes. Their therapy room can accommodate up to 12 people per session. They also sell himalayan salt lamps, bath salts and spa packages. 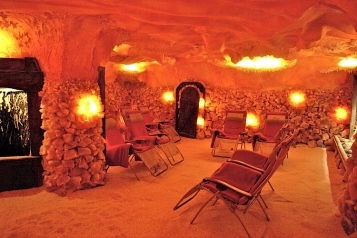 The Salt Cave and Spa offer very affordable salt therapy, starting from just $10. They offer a huge variety of treatments and services, from biomat and massage, to aromatherapy and detox. They are closed on Wednesdays. With a capacity of up to eight people per session, the Tranquility Salt Cave is also available for private rental. Heated biomat sessions, vibra therapy and ionic detox treatments are also available. 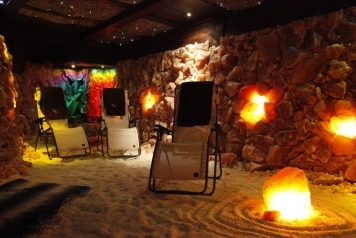 This salt cave offers additional treatments such as cryotherapy, sound therapy and yoga. They also provide reiki treatments for dogs. Childrens sessions are available.They are closed on Tuesdays. Set up in 2012, The Salt Cave Santa Barbara is the largest underground salt cave in North America. The cave offers services such as yoga, salt scrubs and mineral facials. There is an extensive shop featuring products like soap bars, body lotions, spa kits and gourmet salts. The salt cave is open every day of the week. Spa and salon services are available, as well as personal training deals and yoga sessions. Other fitness classes include weight training, cross training and private buddy training. The Spa was opened back in 1988 by owner Heidi Rosebud, with the salt cave sanctuary being created in 2017. Services offered by the Naperville Salt Cave include foot bath detox, infrared sauna and body wraps. Salt cave therapy sessions are 48 minutes long. The salt cave is closed on Mondays. The Salt Sanctuary offers a heavily discounted opening session for first time visitors and it also possible to buy an “unlimited sessions” package, lasting for either 3 or 12 months, which is a great offer if you want to attend salt therapy multiple times a month. The Salt Sanctuary is open every day of the week. As well as salt therapy, there are many spa treatments to choose from, including hot stone therapy, massage and amino neuro frequency. Gift certificates are available to purchase. Sessions here last a full hour, compared to the more common 45 minute sessions found at many other locations. A private room for as many as 18 guests can be hired. Different forms of massage, from Swedish to hot stone, are also offered here. Yoga sessions, reflexology and hypnotherapy are just some of the services offered by the Louisville Salt Cave, in additional to the usual halotherapy treatments. Kids play sessions are available, as well as specially shortened sessions for working patrons on lunch breaks! In addition to standard halotherapy treatments, Primal Oceans offer an impressive array of other therapies, including aquamassage, ionic detox and amethyst biomat experiences. Open every day, regular sessions are for between 6 and 8 people but the room can be hired for larger parties. The salt cave features special events from time-to-time, which can be checked using their online calendar. Gift certificates can be purchased from the shop. Cold laser therapy, acupuncture and electrical stimulation therapy are among the wide range of treatments that are available at the Bruceton Wellness Center. This salt cave also features a himalayan salt sauna, which combines a dry, cedar sauna with himalayan salt. Open 7 days a week, there are a variety of treatments on offer here including waxing, facials, peel and other skincare remedies. Virginia Beach’s very first salt cave and the first spa in the Tidewater region to provide halotherapy services. Gift cards and VIP membership packages are available. Featured on The Travel Channel, the Asheville Salt Cave. Up to 10 people can be accommodated per session and the room contains zero gravity chairs for a truly relaxing experience. Kids play, yoga and sound healing sessions are just some of the extra services that can be found at this centre. Salt stone foot experiences and infrared saunas are available alongside the standard salt therapy treatments. Gift certificates can be purchased online. They are closed on Tuesdays. Set up in 2016 by Susan and Doug Polk. Special lunchtime sessions are available from Monday to Friday, which are shorter than the standard sessions for those who are on a tight schedule. There are many yoga-based options here, ranging from beginners yoga to vinyasa flow and “happy hour laughing yoga”. Massage therapy and reiki treatments are also available. Features at this salt cave include an infrared sauna and a red light collagen bed which uses red light therapy to rejuvenate the skin. There is a also a specially designed children’s cave with prices starting from just $15. Created in 2009, this is one of less than 10 salt rooms in the state of Illinois. There are many different treatment options available here, from thermassage and dry hypnotherapy to body vibration therapy and infrared sauna. They also hold regular classes and workshops and also have a shop which sells himalayan salt lamps and handmade jewellery. In addition to halotherapy sessions, biostimulation and compression therapy are amongst the other treatments offered. Personal health consultations can be purchased. Himalaya salt lamps, cooking blocks and bath salts are available from their online shop. Owner Shannon Coppola decided to set up the Montauk Salt Cave as a result of her young son’s own respiratory health issues. Their salt room can accommodate up to 10 people at a time. Kundalini, massage and gentle flow yoga are other therapies available here. There are now caves at three different locations in New York. Opened by Ines & Brad Clark in 2011. A range of different massage services are also available, including hot stone massage, foot reflex massage and customised therapeutic massage. An array of himalayan salt lamps are for sale in their online shop, in all shapes and sizes. The Salt Spa is closed on Mondays. Set up in 2008, this is one of the only salt therapy centres to feature a stress relieving “float tank”. There is also a massage room and an infrared sauna. Himalayan salt air inhalers, soap bars and lamps are for sale in the online shop. High-end spa featuring a huge variety of treatments, from facial and body treatments to spa escapes and other beauty enhancements. A range of combination packages are available. They have two locations in Philadelphia. Prices are very reasonable, starting from just $20 for adults. As well as guided meditation sessions, they hold regular “singing bowls” sessions, which utilise the strong sound vibrations emitted from pure quartz crystal singing bowls. Newtown Square is open 7 days a week, with the Pottstown location closing on Monday and Tuesdays. Energy work, massage, yoga and other spa services are among the extensive treatments offered at the Bethesda Salt Cave. Children aged 7 or under can enjoy free halotherapy sessions when attending with a full paying adult. Monthly and annual membership packages can be bought. Gift certificates are also available for purchase. Owned and run by an American-Polish couple, Salt Cave Bismarck is the only centre of it’s kind in the Upper Great Plains region. Flotation therapy and far-infrared sauna facilities are both on offer Their retail shop comprises different types of himalayan salt lamps, as well as himalayan cooking tiles. Delaware’s first salt therapy centre features a “myofascial release room” which is claimed to be able to treat a range of ailments including headaches, scoliosis and muscular pain. The online store has plenty of salt related products for sale, from salt eggs and himalayan lamps to candle holders and heated massage hearts. Regular classes and events are held here. Halotherapy sessions cost $25 per session. Their Murfreesboro location contains an activated charcoal massage chair room which provides a deep tissue massage experience. The centres are open 7 days per week and also sell a wide range of Himalayan salt lamps and other products. Based in the heart of New York City, Floating Lotus offers an extensive array of treatment options including LED light therapy, facials, acupuncture and reiki. There are frequent yoga classes held too. A variety of body, facial and hair care products are on offer in the online shop.